Alpena, Mich–-It’s a silent disease, but one that can be found quickly with just an annual eye exam. “Most people don’t know they have it until we find it,” Optometrist Steven Garant of Thunder Bay Eye Care said. Glaucoma is an eye disease that can damage your optic nerve, which supplies visual information to your brain from your eyes. “It’s a lot more common in African Americans and Latinos, but anyone can contract Glaucoma,” he added. Taking charge and having an annual eye exam is key to make sure those two organs stay healthy. “It’s the leading cause of blindness in the united states,” he warned. Although it can be a bit scary if you have family history or a become statistic of the disease, there are treatments available. “The most common treatment is eye drops that can control most of it. 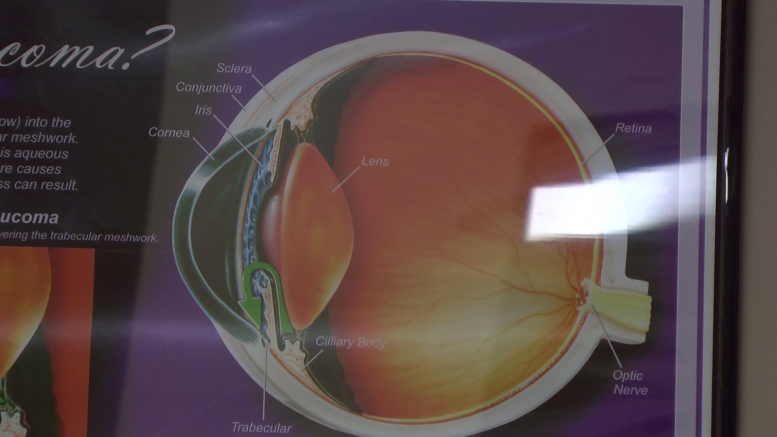 If it’s not controllable with eye drops there are surgeries available,” Garant said. So if you haven’t had your annual eye exam, make sure to add that to your goals this year.